When it comes to having the perfect home and living space, there is so much to take in to consideration. You want to think about the exterior as well as the interior; what furnishings will you buy? How will you design it? What kind of look are you trying to create? Etc. Once you have made these decisions, it feels like you can just sit back and enjoy your home. On some level, you can. However, at some point, after some years of wear and tear, you might turn around, look at your home, and wonder what happened to it and where all your dreams went. That is precisely the time for you to call in UCM Services Oakland - steam Cleaning Service. With our specialized cleaning services you can really get back what you originally had. Because we understand the requirements of all the different fabrics in your carpets, we can properly assist you in maintaining and preserving them. Instead of you just cleaning and re-cleaning your carpets in an attempt to restore them to their original glory (pretty much to no avail), the steam cleaning method that Carpet Cleaning Oakland uses is state of the art technology which will for sure have your carpets looking fresh and rejuvenated in no time at all. Steam cleaning method - also known as the water extraction method - will spray a heated cleaning product on to your carpets at an extremely high pressure which will be thereafter immediately extracted along with all suspected soil particles. UCM Services Oakland uses rotating brushes to manipulate the cleaning product into the pile to loosen soils. 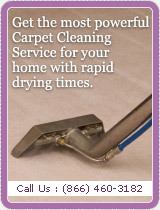 It is an excellent method for cleaning, restoring and rejuvenating carpets. It is quite obvious what a difference it will make to you to use UCM Services Oakland for all your needs; with our hi-tech, super top quality steam cleaning methods we are sure to have your carpets looking better than you could have possible imagined. Call UCM Services Oakland today at 510-999-8920 for a free estimate; we look forward to hearing from you and being at your service.